Cnc router machine CX-C8 (double spindle + row drilling) panel furniture, cabinet wardrobe, office furniture, custom furniture. motor car body, bowling track; anti-double board, epoxy resin, ABS, PP, PE and other car bonization mixture. ◆Cnc Wood Milling Machine equipment processing table is made of thickened tempered steel plate. The table top is not deformed and does not sag. The engraving flatness and verticalit are high, which increases the stability of the whole machine. to ensure long-term stable processing and operation of the equipment. ◆Cnc Wood Door Engraving Machine Double-layer adsorption table with 7.5KW water vacuum pump makes the pressure distribution more uniform. There are 200-300 suction holes on the table to ensure that the small plate does not run. and the use of vertical rail technology can better ensure the stability of operation. which is equivalent to secondary tempering treatment, ensuring long-lasting gantry and no deformation. affect the operation precision of the Y axis. ◆ Domestic HQD 5+4 vertical drill bag, fast punching speed, can be porous at the same time according to software layout. to ensure the lubrication of the slider screw guide rail and prolong the service life. and the secondary assembly enters the quality inspection process. The whole body of the bed is treated by aging, and the cast iron parts are all quenched and reinforced. ◆ Convenient feeding, optimized material opening, vertical hole, convenient material cutting, and no interruption. and the operator can be employed after simple training without skilled workers. The Cnc Woodworking Machine moves quickly and efficiently, helping you achieve a leap in productivity. r ovide accommodation and meals for technicians. Professional 10 years international business experience. 6 teams of after-sale service, ensure overseas service in time. 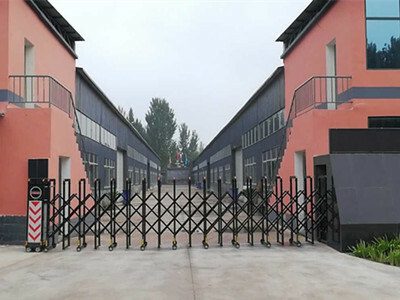 Jinan Jin shengxing Machinery Equipment Co., Ltd.